Ev Chambers (in the middle) with two of his sons on their cranberry marsh. Starting out as a way for founder Ev Chambers to save 20,000 miles a year driving to consult with his clients in Wisconsin and Minnesota, software hosting company AgCompas has grown to serving farms and accounting firms in 16 states and one Canadian province. AgCompass clients include farms with feedlots, trucking operations, and other diversified, multi-site, farms as well as the accounting firms that work with them. 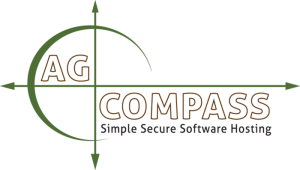 In fact, AgCompass works with some of the largest hog producers in Ohio, making it easier for them to securely access their software between multiple business partners and consultants. Additionally, Latta Harris, a managerial accounting firm, and FBS Systems, a farm accounting software company, have been partners with AgCompass since the beginning. Together they’ve helped farmers navigate the often-complex managerial accounting needs of today’s agribusinesses. AgCompass provides the ability for everyone involved in a farm’s business finances to collaborate and tackle complex issues, especially around tax time. 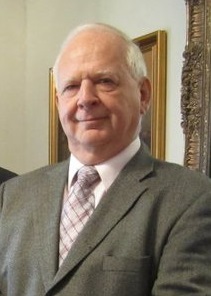 In the beginning, Chambers sought out help from Ken Wedig a colleague in agriculture with expertise in information technology. Wedig initially hosted software with an in-office server. Server technology has also gone through several changes throughout the years, and now AgComopass works with technology partner Involta, which has word-class data centers throughout the US. One of the biggest reasons customers choose AgCompass is not only because of their background and focus on agriculture, but also because Wedig and others take the time to answer questions over the phone and have experience working with people who aren’t accustomed to using computers. For a reasonable price, the same software people are used to using on their desktops can be accessible from anywhere and stays updated with the help of AgCompass. One example of just how AgCompass has helped Chambers consult with clients involves a dairy that started out in California and has since moved to Texas. In 2008, Chambers helped them with their negotiations with lenders, involving their finances and taxes. Another major milestone for AgCompass, has been the addition of team members such as business development manager, Nick Chambers, Ev’s son. Nick Chambers has been able to provide customer communication and managerial support and helps new customers identify if AgCompass is right for them. Looking to the future, because AgCompass can host any windows-based software, AgCompass is reaching out to additional software partners to help them provide their customers with flexible, anywhere access as well as added telephone support. AgCompass is also reaching out to CPA firms that work with agribusinesses as more and more farms are adopting managerial accounting systems and could benefit from collaborating with their consultants, which AgCompass helps make possible.